Recent assessments of snow crab and shrimp stocks that show significant decreases worry Newfoundland and Labrador Minister of Fisheries and Natural Resources Steve Crocker. The Newfoundland and Labrador minister of fisheries and natural resources has added his voice to those concerned about what the latest shrimp and snow crab assessments will mean for 2017 quotas. "What we're hearing from harvesters is that they are concerned and this is a major concern of ours as well," Steve Crocker said Thursday. "When you look at our shellfish industry, it provides thousands of jobs in our plants and we have thousands of harvesters who rely on these resources for their income." Crocker said the shell fishery was a significant contributor to the province's economy last year. "The exported value of snow crab alone was $415 million.," he said. "For snow crab we had 25 plants active last year. On the shrimp side we had eight plants active." 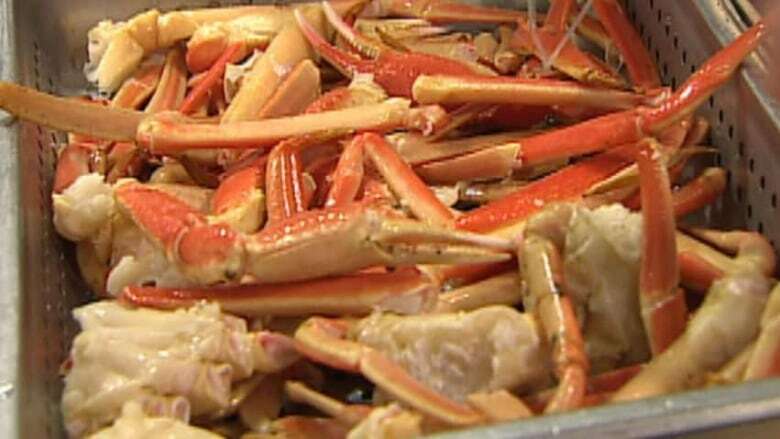 The federal Department of Fisheries and Oceans estimates the volume of crab available to be caught dropped 40 in one year, and shrimp stocks off the northeast coast of Newfoundland and southern Labrador are at their lowest level ever. Crocker said stakeholders should know more about how the stock assessments will affect fishing quotas later in the spring. "The numbers we are hearing out there now are percentages and they are biomass declines. That doesn't really translate into quota declines and equal percentages." DFO meetings about snow crab stock assessment and management start on Monday, March 6 in Gander and continue at many locations in the following days. Crocker said even though groundfish such as cod have shown a significant increase over the past few years, it is doubtful there will be an expanded harvest of those species right away. "There is going to be a transition period here," he said. "It is really hard and early to say if one can offset the other or not." Crocker said his department will continue to bring the concerns of harvesters and plant workers to the federal government. "This is our greatest resource and this is why as a people we set up this province," he said. "One of the things we've always been able to do is withstand the challenges that have been put forward in the fishery. If you think back to 1992 when the moratorium happened — 25 years ago this year — we have been able to rebound. I think it is something that as a province and as a people, we will get through it."